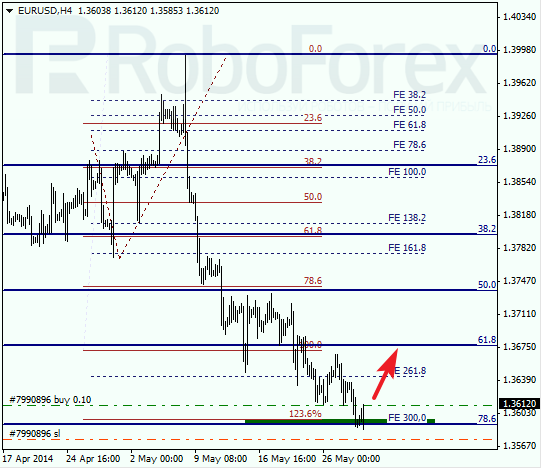 Eurodollar reached the group of lower fibo levels at 1.3600 – 1.3590 and right now is trying to rebound from it. Most likely, in the nearest future market may start new correction. I’ve got buy order with stop placed below target area. 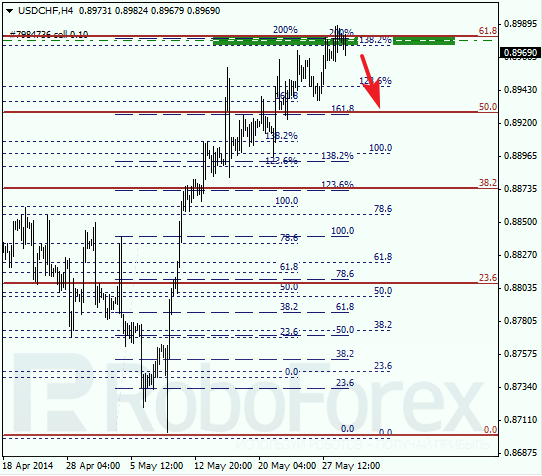 As we can see at H1 chart, price tested the group of lower levels twice and rebounded each time. Which makes this area even more important. In addition, right now pair is moving inside temporary fibo-zone, which means that Euro may reverse upwards quite soon. Yesterday bulls attempted to break upper levels, but failed, and right now is reversing downwards. I’m still holding my sell order; stop is placed close to target area. As we can see at H1 chart, price rebound from upper border of target area inside temporary fibo-zone, which means that market may start descending correction during the day. This descending movement is expected to be quite strong, that’s why I’m planning to increase my position.